It'll be a mostly dry and hot day across eastern Colorado Friday, with temperatures climbing into the low to mid 90s for much of the greater metro Denver area. A few isolated storms may develop later in the afternoon for extreme eastern Colorado, with a slight chance one or two become severe. Saturday will feature warm and dry conditions across southern Colorado, with a chance for storms for northern Colorado. Low humidities and gusty winds will increase fire danger for the southern half of the state. 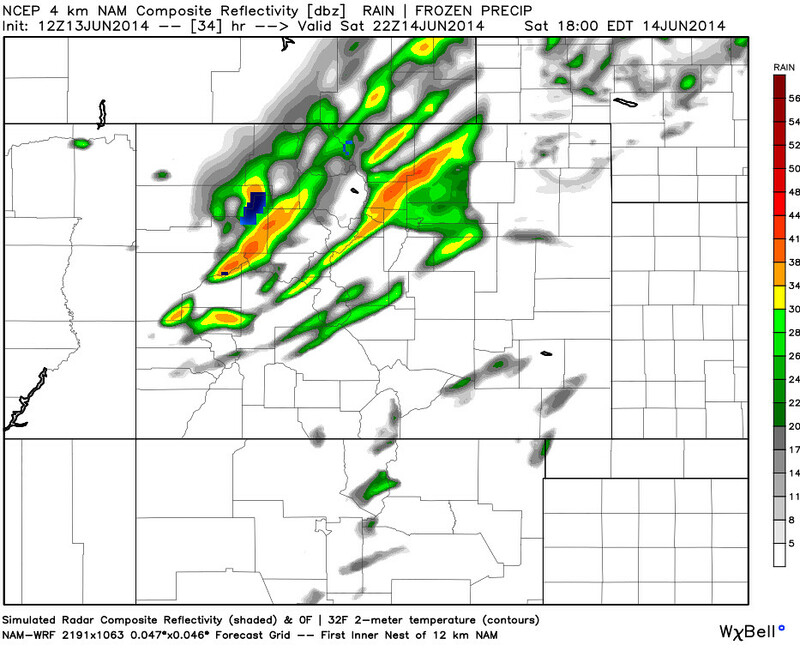 Across northeast Colorado Saturday there will be a better chance for storms. With that, expect temperatures to be a few degrees cooler than today as afternoon clouds should help keep temperatures down a bit. A few of these storms could be strong -- especially northeast of Denver. The SPC has issued a slight risk for the northeast corner of the state Friday, with damaging wind and hail being the greatest threats, but cannot rule out a tornado as well. Storms will gain in strength as they push north and east away from Denver. 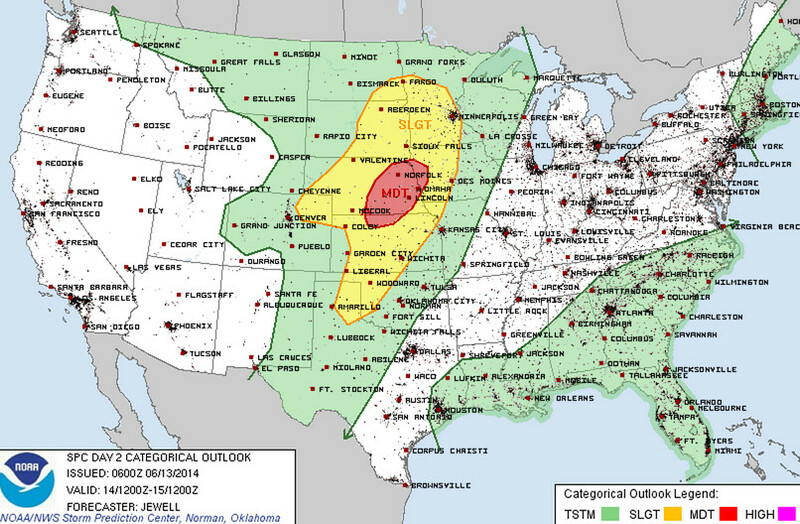 The greatest severe threat will be east of Colorado where the SPC has now issued a moderate risk for severe storms across portions of Nebraska, Kansas, and Iowa. If travel plans take you that direction Saturday, please be aware. NAM has storms developing by mid afternoon for northeast Colorado then pushing east through the afternoon and evening hours. We will need to watch the severe threat for Denver, but at this time expect the best potential for severe to be just outside of Denver. 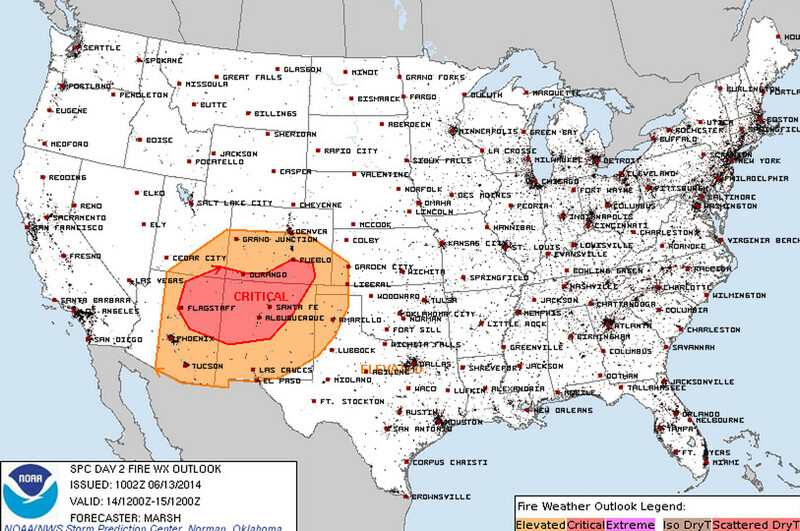 For Denver will go with 20 to 30% chances for storms Saturday, with highs in the low 80s for Denver. South of I-70 chances will be lesser, with only 10 - 20% chance of gusty storms. We'll then cool things off a few degrees even more for Sunday, and also see the storm threat lower for northeast Colorado.